iShadow has enabled Civil Servants to job shadow colleagues in departments other than their own. 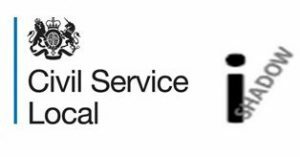 The programme has helped colleagues to build a network across a wide range of Civil Service departments, as well as supporting skill and personal development. If you could give up a short amount of your time to host a colleague from another department who is interested in your work, we would be keen to hear from you. We have attached a guide to job shadowing that we hope you find useful when considering whether you would like to host a colleague. I’ve found hosting colleagues as part of the iShadow programme a really enjoyable and worthwhile experience. It’s a great opportunity to spread the word about what I do and how we are transforming the way Government provides services. But it’s also a fantastic opportunity to learn about what other people are up to. I never fail to be amazed at the wide variety of jobs people have in the Civil Service. iShadow also enables host departments to showcase the work that they do. Pauline White, a Management Support Officer from the Legal Aid Agency in Jarrow explains how job shadowing has been useful for her department. We have welcomed the opportunity to promote the work we do and show what a great place the Legal Aid Agency is to work. The Legal Aid Agency is a fairly new addition to the Civil Service, and it was a great opportunity for us to raise our profile. If you are interested in supporting this initiative, please contact Kelly Roush for an expression of interest form.